Divorce can bring out the worst in people. It can be hard to navigate, emotionally difficult and painfully slow. But, there is one primary thing you can do to persevere. Do the right thing. Every time. In Family Law we are often faced with conundrums on which way to go. Always choose the high road. Take the path that is in the best interests of your child. Do what is right. Taking the low road may seem fun. The other side may deserve it, but in the long run the low road just brings you down to their level. Don’t forget that your case results in you literally being judged for your actions. Another person sits in Judgment of what you did, said and how you acted when under the microscope. 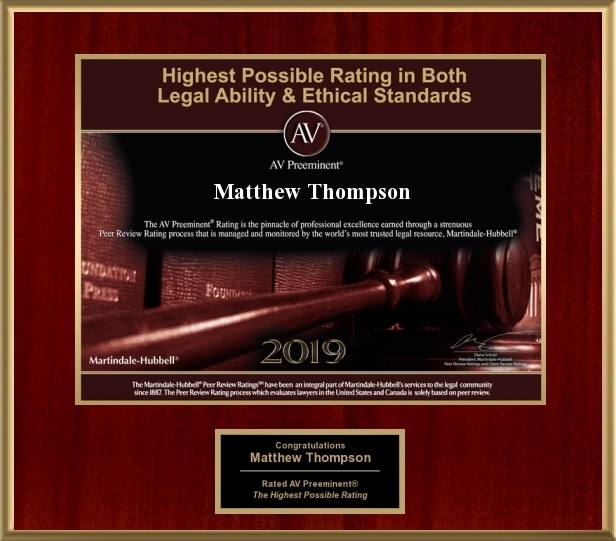 Matthew Thompson is a divorce attorney and advises his clients to do the right thing every time. Previous PostCan I Change the Locks?Next PostDeadlines matter.